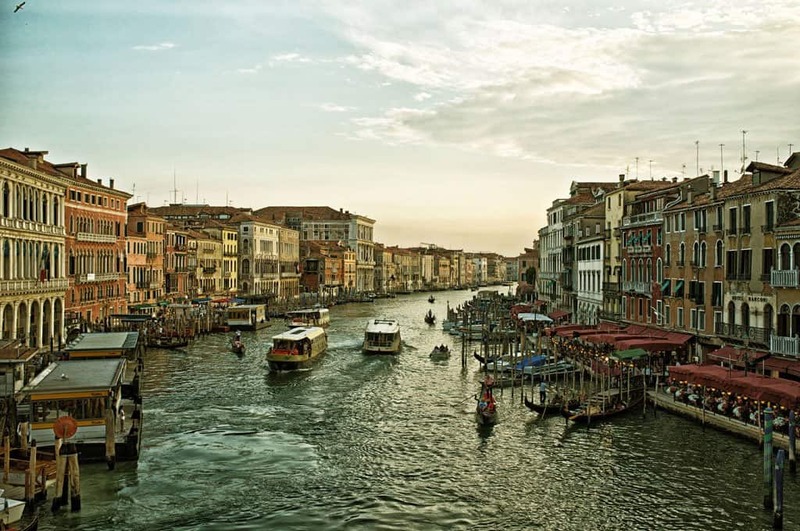 We’ve teamed up with hotel.info to feature some of our favourite European travel destinations. Collectively we’ve chosen 52 picturesque small towns in Europe and now it’s your turn to pick a winner. Hover over a card to cast your social vote, and use the voting buttons below each matchup. Then jump over to hotel.info to vote on the other 26 entries. The winner from our site will meet the winner from hotel.info in a head-to-head final and overall winner will be announced on the 14th February 2014. Voting is now closed. Thank you for your votes, results will be announced shortly! Located in the Salzkammergut region of Upper Austria, this small lake-side village is one of the most photographed villages in Austria. Nestled between the edge of the mirrored waters of Lake Hallstatt and the towering Dachstein mountains, the Alpine village was once where Celtic tribes settled some 4000 years ago. Today the popular beauty spot is an UNESCO world heritage site and its isolated position ensures it remains far from the madding crowds. 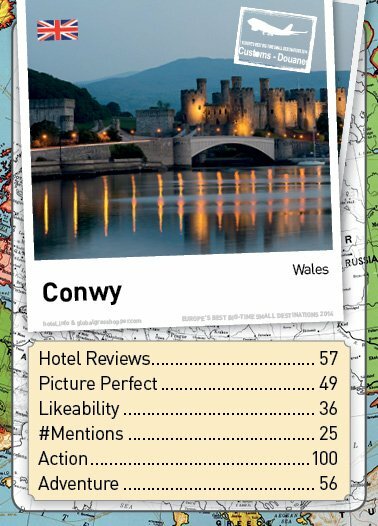 This pretty market town is set on the northern coast of Wales and is dominated by the incredible Conwy Castle – a fine example of medieval architecture (and a World Heritage site), and one that dominates part of the town, with its vast battlements. Pay a visit to the 14th century Aberconwy House and also include the smallest house in Great Britain; but at only 72 inches wide, you might miss it! Just 40 miles from Brussels, Dinant is a small but pretty town perched on the banks of the River Meuse, overlooked by a large rocky cliff, from which the ancient 11th century citadel commands an impressive position. 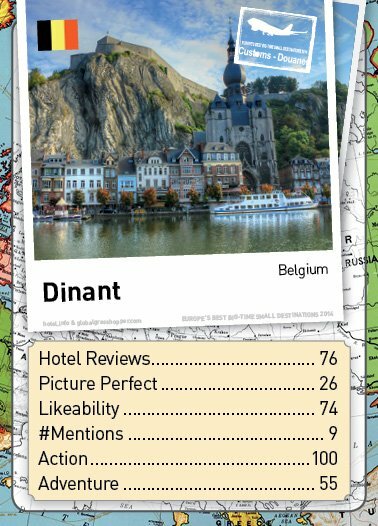 Dinant is home to one of Belgium’s famous exports, Leffe – originally brewed here by monks in the mid 13th century. Don’t miss the Grotte La Merveilleuse; the underground caves filled with ancient waterfalls and stalactites. 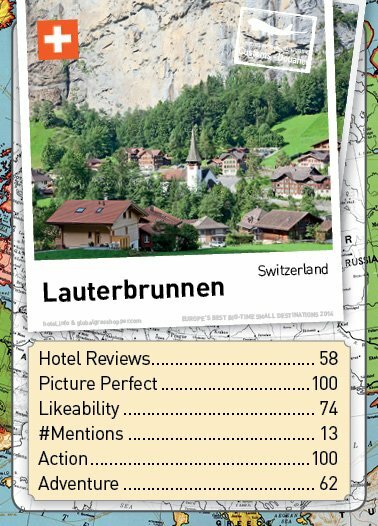 Set in a magnificent valley in the Swiss Alps, Lauterbrunnen (meaning many fountains) is surrounded by lush countryside, with rocky peaks and green meadows. The area is famous for its 72 waterfalls, and the impressive Staubbach Falls, that cascade 300 metres from a rocky outcrop. Visitors won’t fail to be stunned by the town and its surrounding area, in both winter and summer. Both a city and municipality in Bosnia and Herzegovina, Mostar’s war torn past is still painfully evident, but from the atrocities of the 1990s, the city has redeveloped and blossomed. 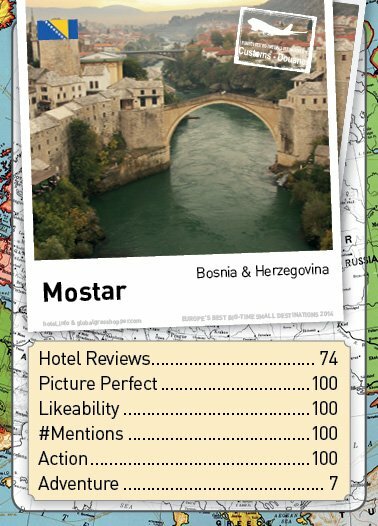 Now a bustling vibrant place with shops and cafes, Mostar is a cosmopolitan city, with incredible architecture, a newly rebuilt Old Bridge, and a thriving tourist scene. 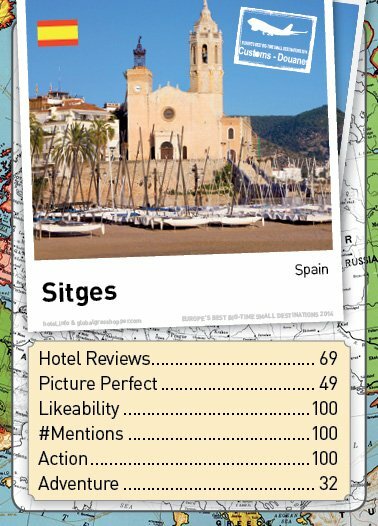 Just 20 miles along the coast from Barcelona, Sitges is a welcome relief from the usual crowded Mediterranean seaside towns. With its laid-back vibe, this town is Spain’s answer to Saint Tropez – home to some glitzy properties, upscale hotels and beloved by a cosmopolitan crowd. Sitges has always been a place that has entranced artists, tourists and indeed visitors from all around the world. With a coastline of 17 beautiful sandy beaches and the surrounding wine country to explore, it’s easy to see why Sitges is so popular. Currently 21st century Sitges is riding high on creativity, talent and innovation, but without losing sight of its roots. It continues to be a town that attracts and seduces. This inviting town is set on the western shores of the Black Sea, in the north east of Bulgaria. 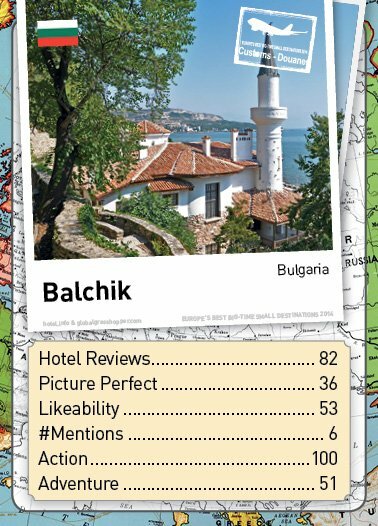 With a centuries-old history Balchik is nestled in a quiet bay, surrounded by rocky white lime hills. Potter around the old town and the port, or head to the vast Botanical Garden in the town’s palace to see thousands of plant species. One of Spain’s oldest towns also happens to be the most beautiful. Located in the province of Malaga, it’s popular with culture-seeking holiday-makers who are drawn to its romantic history – the city has attracted many famous writers and artists over the years including Ernest Hemingway, Orson Welles and Alexandre Dumas. 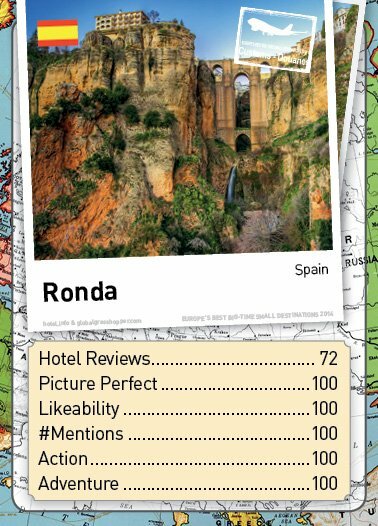 Although it’s arguably most famous for its dramatic views over the Serranía de Ronda mountains and for the deep El Tajo gorge where an 18th century bridge straddles the 100m chasm below. Otherwise known as the “Queen of the Dalmatian Coast”, Hvar island is one of the sunniest and most beautiful of all the Croatian islands. Its small bayside town is also fast becoming a necessary stopping-off point for yachting trend-setters. It’s a cosmopolitan place where 13th century walls surround winding stone streets, chic cafes, ornate Gothic palaces and a number of gorgeous sheltered beaches. Drawing everyone from romance seeking couples to curious backpackers, this is one of the most popular places to visit in Slovenia. It’s hardly surprisingly when you see its truly beautiful location. The town has its own medieval castle and is surround by picturesque mountains, but the real draw is the dark emerald lake. In the centre of the lake is Bled island, a photogenic beauty spot which comes with its own picturesque baroque church – this is where the ancient Slavs worshipped Živa, goddess of love and fertility. Believed to be the birthplace of Aphrodite (the Greek Goddess of Love) Paphos is a coastal town in the southwest of Cyprus, and is steeped in ancient history. 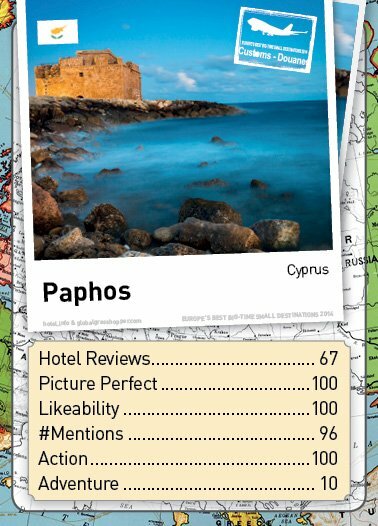 Quieter than the package holiday resort of Ayia Napa, Paphos boasts beautiful stretches of beach, year-round sunshine, and the ancient castle, looking out over the Kato Paphos harbour. 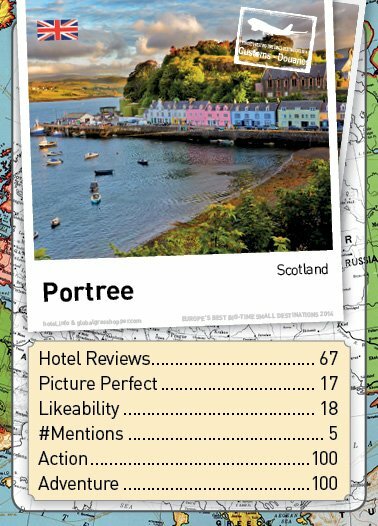 This little town on the Isle of Skye, in Scotland’s Inner Hebrides is a busy port and popular stop for tourists. Colourful painted cottages line the harbour, and ‘the king’s port’ is a great starting point for exploring this wonderful part of the world. With craft shops and art galleries, it’s also a cultural hub, and the Aros Centre is also home to a cinema and theatre. 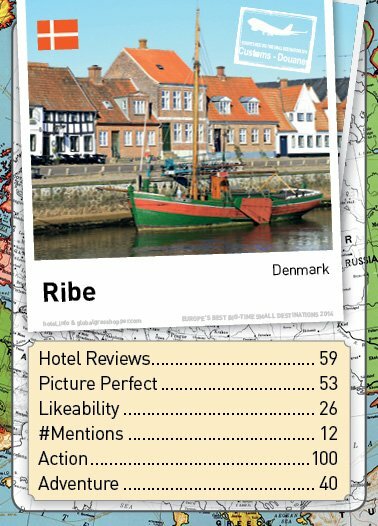 Denmark’s oldest town (dating back to the early 8th century), Ribe is a beautiful authentic slice of Danish life. Wander the old town, meandering through narrow cobblestone streets lined with crooked half-timbered houses, or explore the ancient Cathedral, before climbing the Commoner’s Tower to gaze over the rooftops. This small fortified town complete with stark white houses, a medieval castle and beautiful views can be found in the Estremadura Province. It’s also known as the ‘wedding present town’ because in the 13th century, Portuguese Queen Isabel loved the the village so much that her husband (King Denis I) gave it to her as a present. This started a tradition of Portuguese kings buying this pretty villages for their queens, which lasted for many centuries. This small market town is located in the beautiful South Downs of West Sussex. The town has over a thousand years of history and is a perfect example of an quintessential English village complete with pretty cottages and traditional pubs. 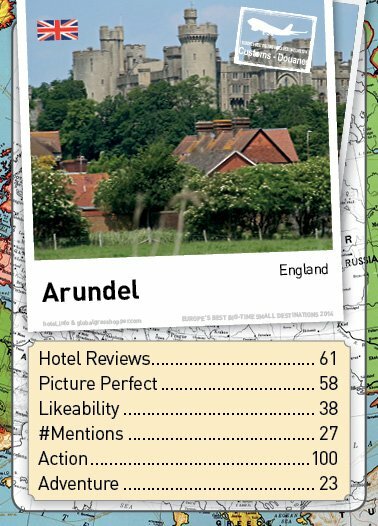 Although the real focus is the 11th century Arundel caste which is set high on a hill overlooking the Downs and the River Arun. Many of the original features are still in tact including the gatehouse, the keep and part of the Tower. Other highlights include the Gothic chapel and the beautiful walled garden. 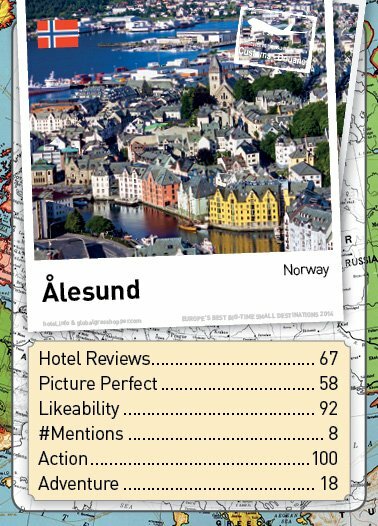 Scattered over a row of islands on the western coast of Norway, Ålesund is a lively fishing town that, following a huge fire in 1904, was rebuilt in the instantly recognisable Art Nouveau style. It’s a buzzing town, that boasts fantastic vibrant culture, shopping opportunities, and views over the area from Mount Aksla. Soak up the town’s unique atmosphere before heading out on a guided tour of the fjords. Don’t miss the breathtaking Geirangerfjord, for stunning photo opportunities. 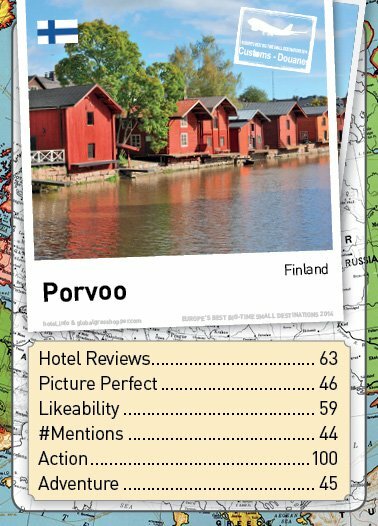 Finland’s second oldest town, and only 30 miles from Helsinki, Porvoo is a charming little destination. One of only six medieval towns in Finland, it’s a picturesque place; from the red painted houses lining the riverbank to the craft shops of the old town, visitors will have plenty to see and do. 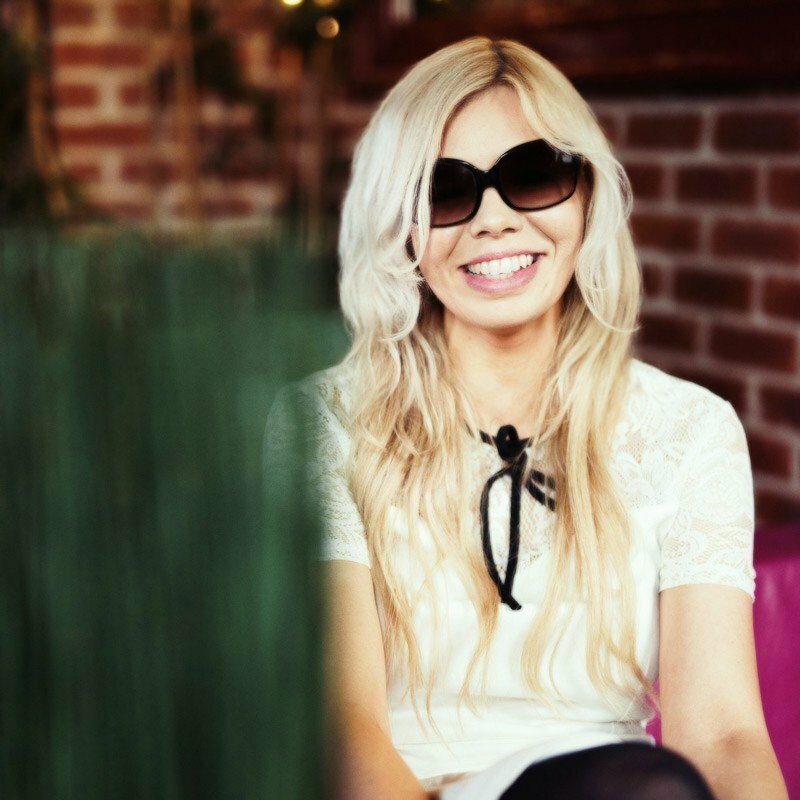 With some great restaurants and a few vibrant bars, Porvoo is not just a day trip destination, but a place to really explore. These two adjoining towns are situated around 14 miles north of Amsterdam, and of course are synonymous with the famous cheese. Their traditional fishing and farming roots are evident, from fishing smoke houses to the traditional Volendam costume that people now think of as authentic Dutch dress. 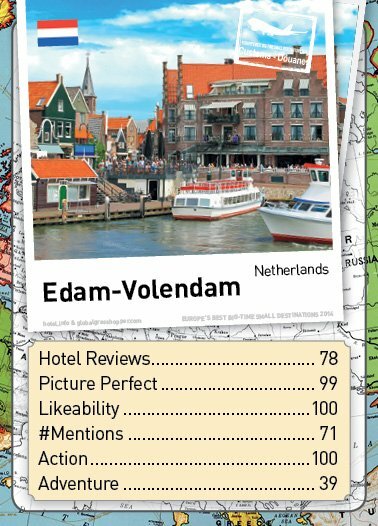 Beautiful green and red buildings cover the towns, and Volendam harbour is a bustling spot for photo opportunities. Edam’s cheese market is worth seeing if you’re visiting in July or August – it began in the 1600s, but died out in 1922 before being revived in the late 1980s. One of the prettiest villages in the South of France, Eze sits atop a rock at 1,400 feet above sea level, affording fabulous views over St Jean-Cap Ferrat. With the focal point of the village being the ruins of a 12th century castle, this is a more traditional alternative to the glitz of the French Riviera resort towns. Wander through its winding streets and then stand back to admire the gorgeous view of the villas that lead down the hillside to the Mediterranean. Tucked away between Germany, Belgium and France is this tiny nation that doesn’t always make in on everyone’s travel itinerary. 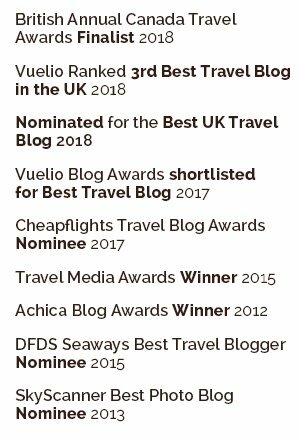 Although this is Europe’s best kept secret with majestic castles, lush green valleys, sprawling countryside and one of the most unique capital cities on the continent. 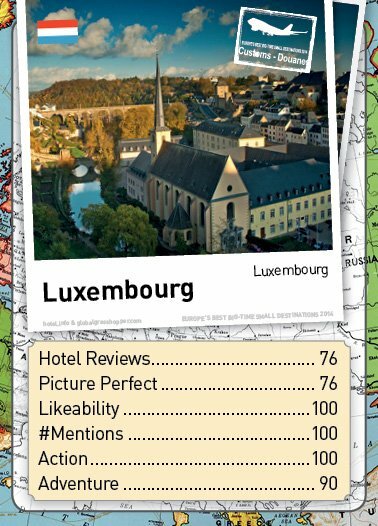 Luxembourg city is filled with an eclectic mixture of contemporary architecture and ancient fortresses (with the Old City of Luxembourg being listed as a World Heritage site). Highlights include the interesting medieval ‘High City’ and the “Low City” which is a picturesque area with a deep gorge. Another picturesque town with half-timbered houses, Cochem lies along the shores of the Mosel river, in southwest corner of Germany. 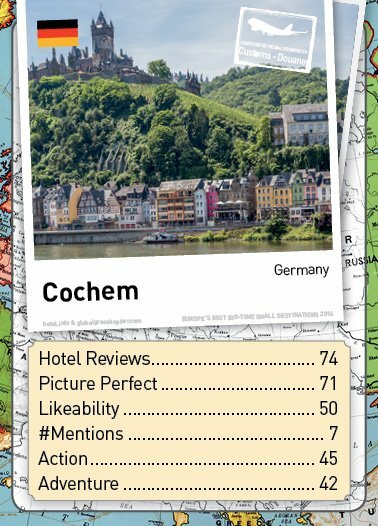 Surrounded by lush green hills and valleys, Cochem is a pretty place, with winding narrow streets and the grand Reichsburg castle perched high above the town. Take a tour or enjoy a medieval-style dinner, or jump aboard a riverboat and enjoy a scenic cruise through the beautiful countryside. 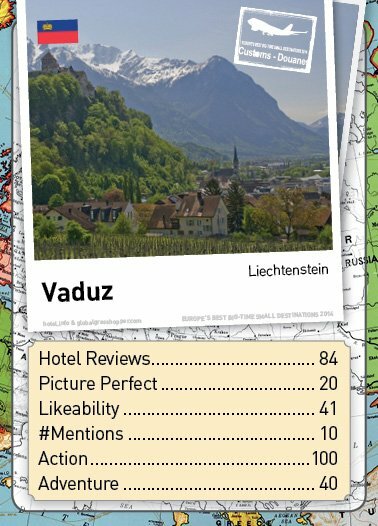 As the capital of the tiny principality of Liechtenstein, Vaduz is known by the locals as the Städtle, or small town. It may be small, but it more than makes up for its size with a vibrant art and culture scene, a medieval castle perched upon a nearby hilltop, and one of Europe’s finest collections of modern art, housed at the Kunstmuseum Liechtenstein. Philatelists won’t want to miss the Post Office and Stamp Museum! 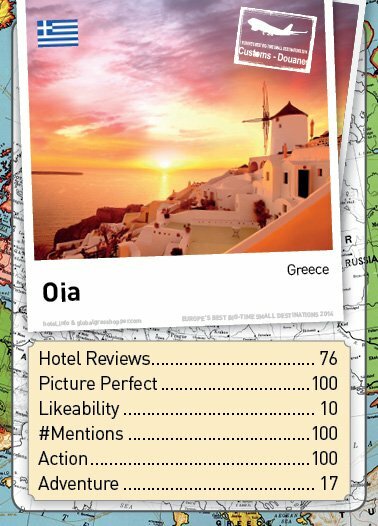 The famously beautiful village of Oia is located on the honeymooner’s favourite Greek island, Santorini. It’s one of four pretty towns that sit perched on the crescent-shaped cliff-top of the caldera and is most famous for its gorgeous sunsets (best watched from terraces of the Katikies Hotel). Expect whitewashed cube-shaped houses, traditional tavernas and winding narrow streets all overlooking the sparkling lapis lazuli sea. Definitely one for the romantics. This gem of the southern region of Bari in Puglia is famed for its unique ‘trulli’ houses – built without the usual bricks and mortar, but using limestone from a prehistoric technique. Their conical roofs are truly distinctive and the houses are listed as a UNESCO World Heritage site. 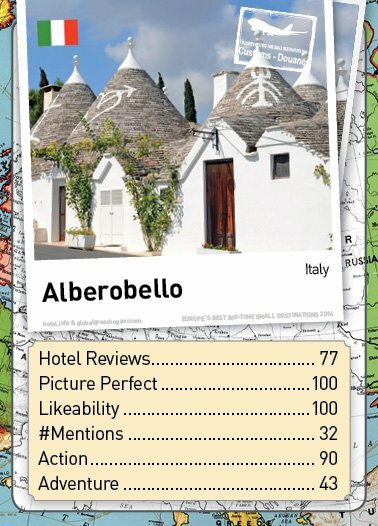 It’s not exactly overrun with tourists, but Alberobello is an authentic slice of Italian life. Often overlooked by visitors to this magnificent country, Akureyri is located in the far north of Iceland, and as the ‘capital of the north’ has an enviable setting. Surrounded by snowy peaks, waterfalls and lava fields, it’s also on the doorstep of the grand Eyjafjörður fjord. It may be a small town, but the locals know how to party, so there’s a great nightlife, and they even have their own annual winter sports festival. Positano is the arguably the most photogenic town along the famously beautiful Amalfi Coast. Once a former fishing village it’s now a chic resort with cosmopolitan restaurants, exclusive boutiques and an attractive pebble beach. Its orientation definitely makes it stand out; Positano is perched atop a steep rocky hill and its pretty narrow streets wind all the way down to the water. 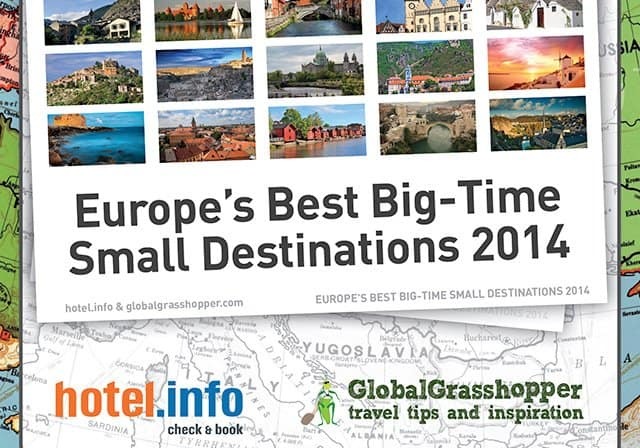 Now head over to hotel.info to help choose Europe’s Best Big-time Small Destination for 2014! 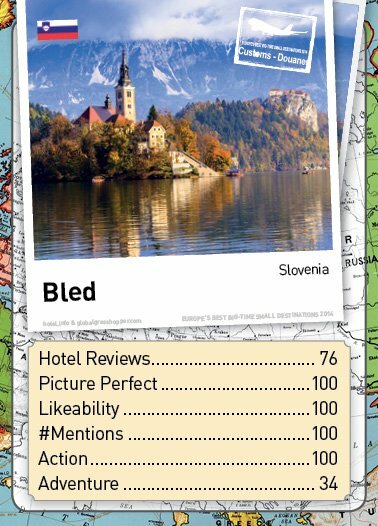 I am surprised to see Hvar stack up against Bled, I do not see those two places anything alike. 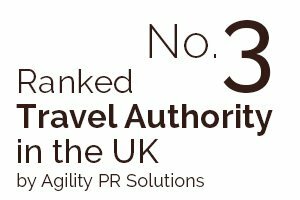 Both are beautiful, and glad to see Hvar on the list to represent Croatia thought! Love all these places but don’t forget Greece! well Óbidos…i love and go there whenever i can…so, my favorite! Sitges in Sapain and Paphos in Cyprus are the best !!!!!!!!!! Obidos, besides being one of the most biutifull anf famous medieval town, it as a vibrant cultural life witch A network bookshops, one of theme located in a old shurch and several creative spaces are just small examples. Óbidos is the one of the most beautiful walled village in the world ad it’s castle is magnificent!! 😀 Let’s go Óbidos!!! PORTUGAL IS AWESOME!!! 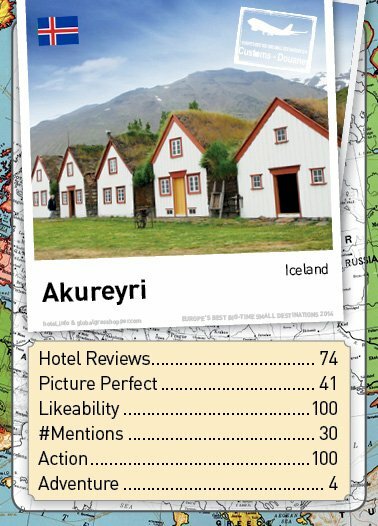 Loved to see Akureyri, Iceland on the list. Dettifoss, Europes most powerful waterfall is a short drive, lake Mývatn is on the way…so is Krafla and Askja, where American astronauts, in 1965, prepared for their lunar mission, as this area is one of the more moon-like places on Earth! Excellent candidates, very good atmosphere, I found my favorite destination and I vote! Ribe is defenitely worth a visit with the 2 Viking museums, an exellent art museum and the Wadden Sea 6 km away with a wonderful bird life. You can stay at a B&B in one of the old houses for a very low price and enjoy the many small, interesting places to eat. It’s my favourite place! 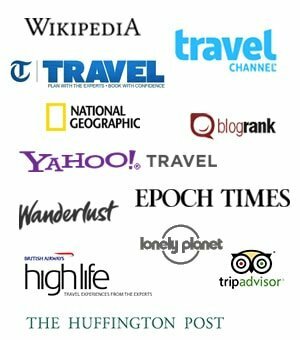 I am a tour guide in Germany and have had tours to some of these places. Others I would like to go to and add to our list. 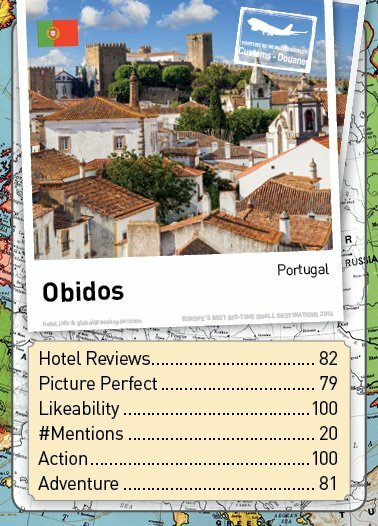 You should come to Portugal and visit Obidos ! Don’t miss it! If you come, don’t forget also to extend your visit to Porto, now the best european city to visit. 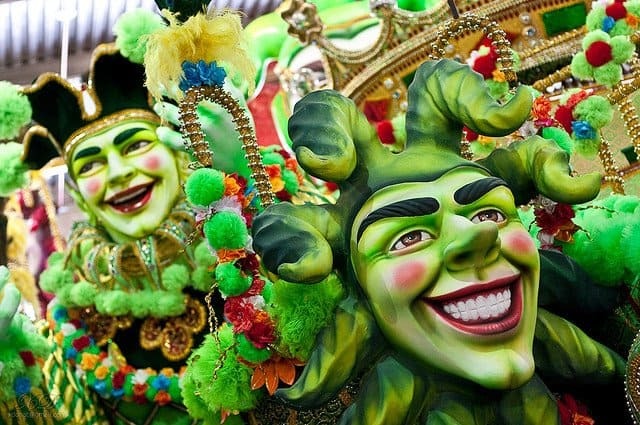 Have fun and enjoy your travels! 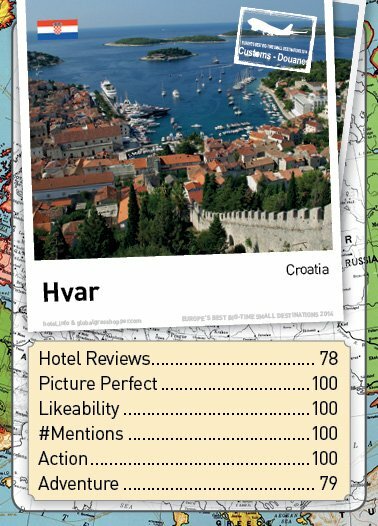 So many different places to choose from, I think Hvar would be the one I would like to go to! 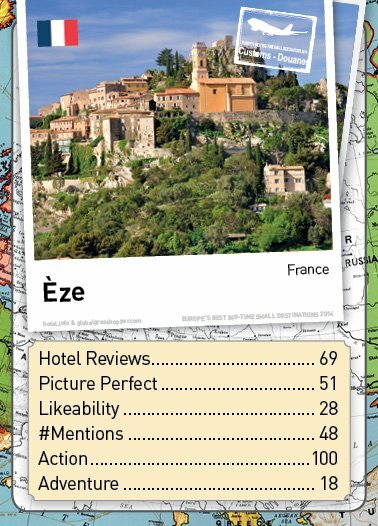 They all look very special but I would love to put Eze, Bled and Hvar on my travel list for 2014! 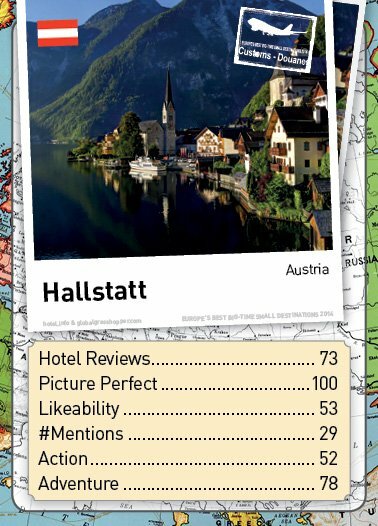 Cool competition, Oia and Hallstatt are my favourite! This was such a fun post! It’s super interesting to see how different cities are doing. Wow, so many comparisons. 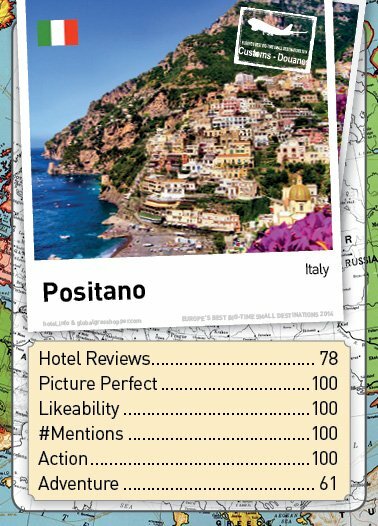 On the few I voted on it seems that those with most hotel reviews seemed to be more popular. Thanks for introducing us to some new places. I’m excited to see which cities win this! It’s gonna be a tight race!